What materials Disappear in a Landfill? Biodegradable...decomposition...what are they and how do they happen? 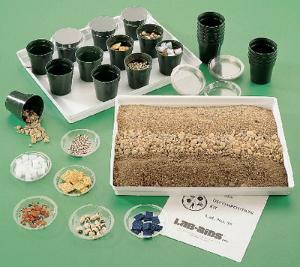 Students can use this kit to investigate the effect of different factors on decomposition and biodegradability including: rate of decomposition, soil type, and types of substances that can be decomposed. Kit contains enough material for 24 lab groups of 2 students each.